Who are Sisters and Nuns? Sisters and nuns are women who belong to the Catholic Church and who give their lives entirely to God in imitation of Jesus Christ. They have experienced a call from God to live in this way and have responded by giving their whole lives to God. They take vows to God, live in community, live as simply as possible, pray, study and do good works. What is the Difference between Sisters and Nuns? Both nuns and sisters are called women religious. What they have in common is that all women religious take vows to God, live in community, give themselves entirely to God for life and live in the spirit of the person/persons who founded their particular religious order. Do you have to be a Catholic to be a Sister? Being Catholic means that you have received all the sacraments of initiation: baptism, confirmation, and first communion. It means a regular practice of your faith, including attending Mass and being active in your parish community. It also is good to make retreats and/or to meet with a spiritual director. These help to strengthen your understanding and practice of your faith. You can become a sister if you are a new Catholic, but you will be asked to wait for three years after your initiation so that you have time to adjust to your new faith experience before taking another serious step in your life. Who can become a Missionary Benedictine Sister? Any single, Catholic woman between the ages of 19 and 45 can become a Missionary Benedictine Sister. Click here to see a the full list of requirements. Why do Some Sisters wear a Habit and others don’t? The habit is an outward sign of an inward consecration to God, and identifies us as members of a particular religious order in the Church. Religious orders have different opinions about the wearing of habits or other identification symbols. 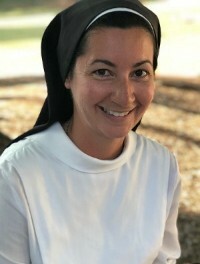 For us as Missionary Benedictine Sisters, the Habit and Veil is a symbol of total surrender to a life of simplicity and a common identity as a congregation. Our dress code is our way of saying: “Look, this is who we are, Brides of Christ!” It is a declaration of belonging to the international congregation. Do I have to wear a habit if I Become a Missionary Benedictine Sister? The Missionary Benedictine Sisters do wear a habit. Becoming a Missionary Benedictine Sisters implies you are willing and ready to wear the habit and veil as part of your identity. The habit is an outward sign of an inward commitment. Can I still be become a Sister if I have had sexual relations with a partner? Yes. However,if currently sexually active one would need to be chaste for at least 2 years before applying to enter the monastery. How do I become a Missionary Benedictine Sister? Becoming a Sister is a long journey of discernment. It begins when one feels the desire to respond to a religious vocation. Through prayer, spiritual direction, talking with friends and family, and learning about the various aspects of the Missionary Benedictine way of life, one embarks on a vocational journey with the community. The various stages of formation in the Missionary Benedictine way of life are outlined here. Where do the Missionary Benedictine Sisters live? Missionary Benedictine Sisters live in communities. Depending on the location/country, the residence of the Sisters could be a Monastery or a Convent. Currently we live and serve in 19 countries around the world on five continents. Do Sisters earn a salary? What do they do with the salary they earn? Sisters who are employed in institution earn a salary like every other employee. However, the salaries of the Sisters belong to the community. As Missionary Benedictine Sisters, we receive all we need from the community and so we don’t need to have money of our own. What are the vows the Sisters take? What do the vows mean? Missionary Benedictine Sisters take the vows of Obedience, Stability, and Conversion of life. The vow of Obedience calls us to imitate the obedience of Christ who repeatedly said: "I have come not to do my own will, but the will of him who sent me." Conversion of life encompasses the traditional vows of chastity and poverty along with a life fit for a Monastic Sister. Stability is a vow particular to the Benedictines, since community is such an important part of who we are. We belong to a place, within a particular community, and we vow to stay with the community through both good and bad times. What do the Missionary Benedictine Sisters do? The Missionary Benedictine Sisters were founded in 1885 to bring Christ to places where his is not known or where He is insufficiently known. In responding to that call, we serve where the Church is in need. We work with the local Church to determine the ministries needed. We engage in all sorts of ministries including education, healthcare, social work, and pastoral work. Do I have to be sent to a foreign country if I join the Missionary Benedictine Sisters? You can be a missionary right at home, and therefore you don’t have to be sent to a foreign country to be a missionary. Missionary Benedictines serve where they are needed whether at home or abroad. Being a Missionary congregation, however, demands that the members be willing and ready to accept mission assignments in foreign countries. Do Sisters pray every day? Prayer is central to our life. We come together as a community five times a day for prayer including the celebration of the Eucharist. In addition, Sisters have time for personal prayer. What does a Missionary Benedictine Sister do all day? In addition to coming together for common prayer, a Missionary Benedictine Sisters works at her assigned task/job throughout the day. You can view the typical day of a Sisters here. How long does it take to become a Sister? Each journey is different because people are different. Some need more time for discernment than others. However, generally, the period until final profession is at least 7 years. Do I need to go to college in order to become a Missionary Benedictine sister? No, but you need to be at least 19 years old and have some work or life experience, or two years of college education. Click here to see if the Lord is calling you to the Missionary Benedictine way of life. Do the Sisters get to visit with family and friends? Yes. Sisters get annual homeleave time to visit family and friends. Friends and family can also visit the Sisters in the Monastery if possible. Do Sisters choose where to work or what ministry to serve? Consideration is made based on the needs of the community, the talents, and the professional training of the Sisters. There is dialogue between the Sister and the community with regard to assignments.